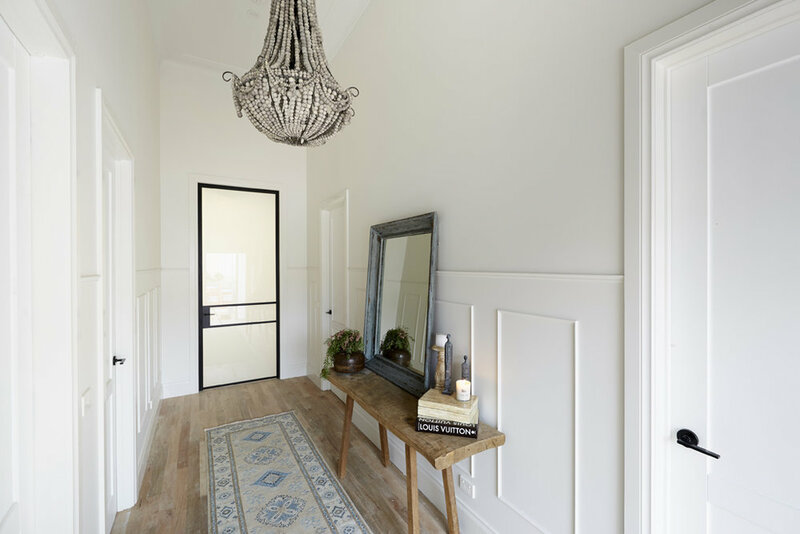 If you love high ceilings & wide spaces ... you'll love the hallway at House 5! This week was a toughie. Hallways and laundries don't sound all that exciting but when you look at the size of the space, there was a lot of ground to cover. SO much painting!!!!! Long days, very little sleep & absolutley two exhausted bodies by the end of it. But the result is pretty speccy! 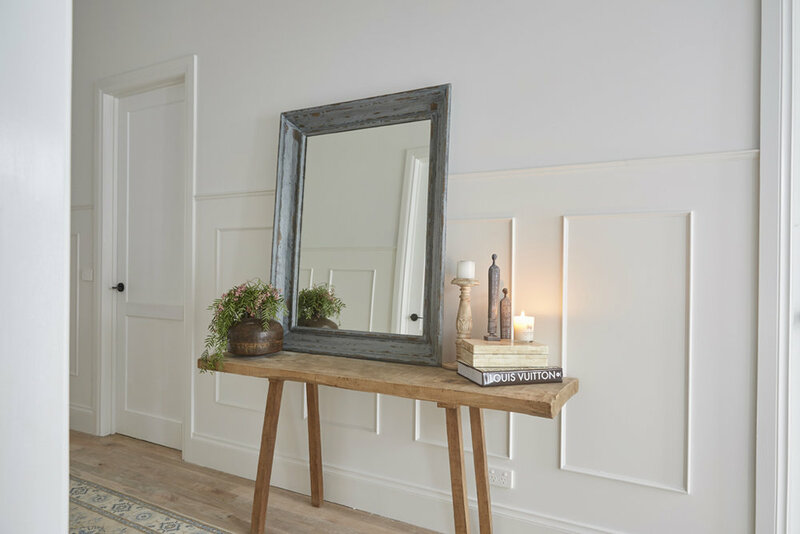 We repeated the wall panelling down the sides of the hallway so that it tied in with the bedrooms, creating a subtle but unique flow throughout the house. The paneling helps the house keep it's old school charm. The pendant we chose to hang in the hallway is so incredibly special. It's a focal point when you open the door & adds a touch of magic... it is stunning and I am so so happy to have found it. Anything that comes with a bit of a story helps create warmth & homeliness. In a brand new house (or a renovation the size of this one) - having a healthy contrast of traditional and modern elements is key. Styling wise, I used lots of items with earthy tones - various wooden pieces (including the side table & mirror), cane baskets and candle sticks. 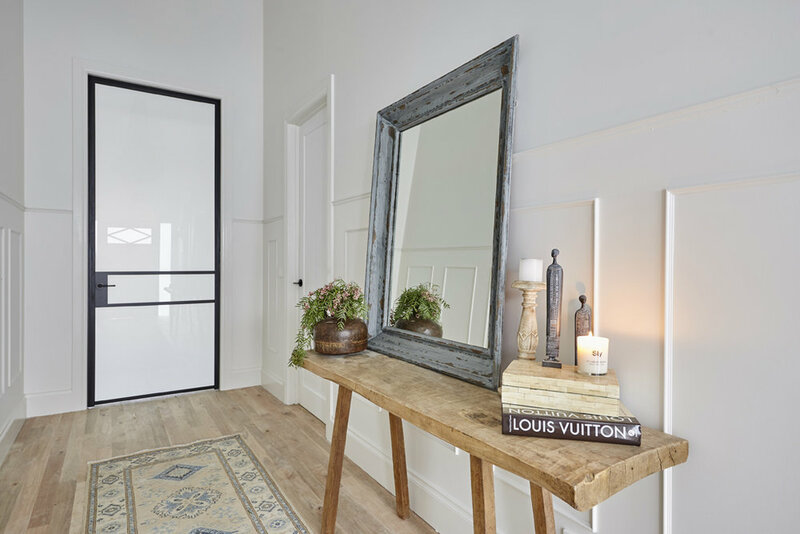 Even the tinniest of details like wooden pegs & potted gumtree leaves can give a space a sense of character. You don't always have to fork out a lot of money when it comes to styling. Be creative and resourceful! Our laundry is built for a big family! Busy parents + kids who run a muck & get their school uniforms filthy? No worries! 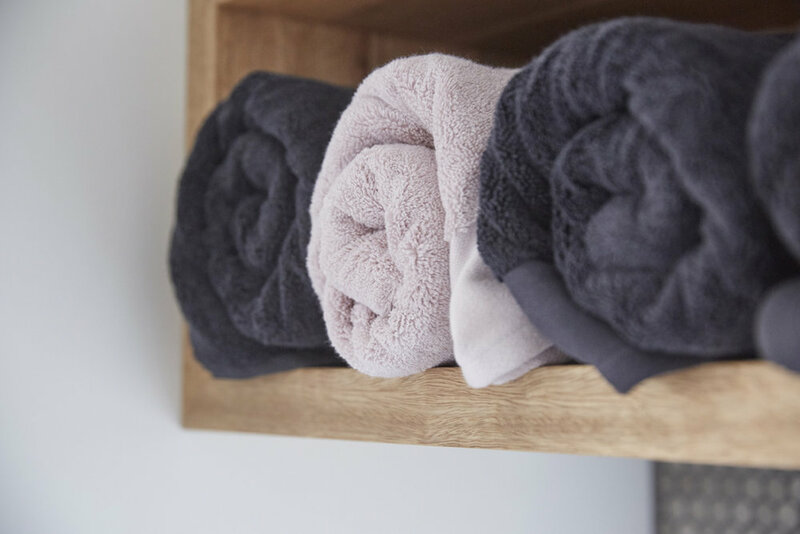 There is plenty of room & the very best, most powerful washing amenities. The laundry is built to endure everything & anything! HUGE congrats to the legends Sticks and Wombat for their very deserving win! !